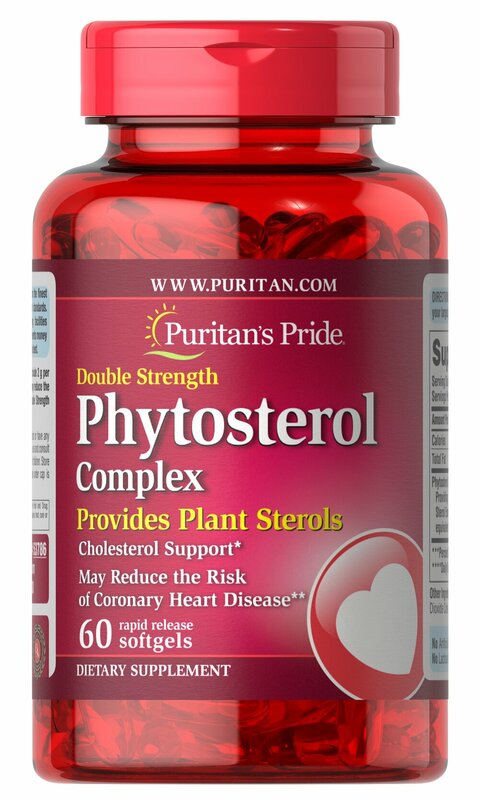 Scientific evidence demonstrates that diets that include phytosterols may reduce the risk of coronary heart disease†. Our specialized formula exceeds strict quality standards for levels of phytosterols (beta sitosterol, stigmasterol, and campesterol) - the active ingredients that help maintain cholesterol levels already within a normal range. †Foods and dietary supplements containing at least 0.5 g per serving of phytosterols (plant sterols, plant stanols, or plant sterols and stanols, expressed as unesterified form equivalent) eaten with meals or snacks for a daily total intake of 2 g as part of a diet low in saturated fat and cholesterol may reduce the risk of coronary heart disease through the intermediate link of blood total and LDL cholesterol. A serving of Double Strength Phytosterol Complex provides 1000 mg of phytosterols [plant sterols, plant stanols, or plant sterols and stanols, expressed as unesterified form equivalent].